Superlocalstudio x Mundane Matters. Plant Planet Workshop at Sydney Design. September 2016. Superlocalstudio x Mundane Matters at SCAF. July 2016. As part of Superlocalstudio’s 2016 Sweet Nature program, this zero waste creative collaboration works to strengthen our connection with nature and explore our skills and imagination. 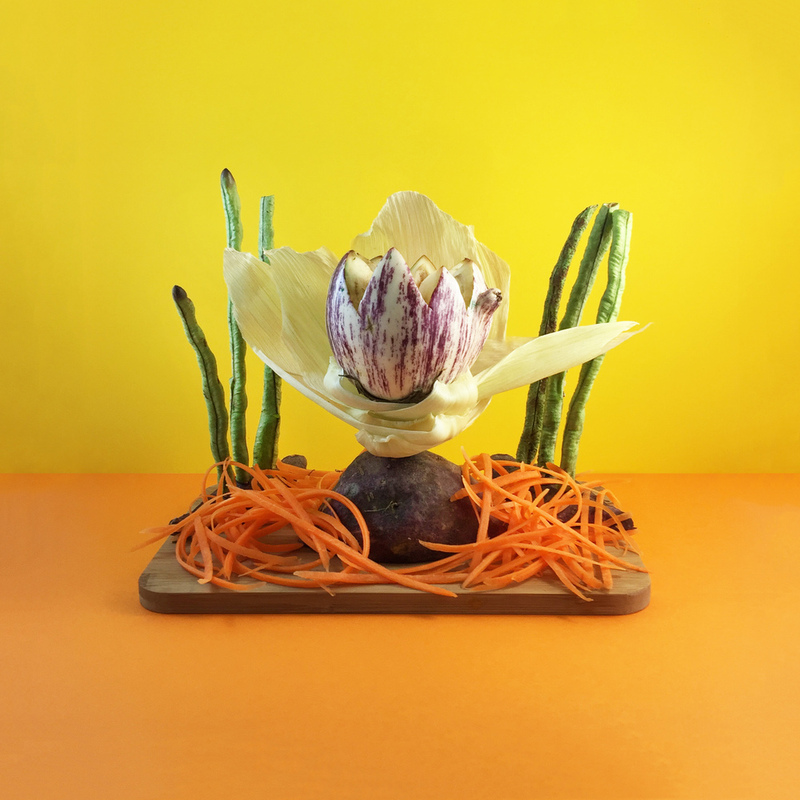 Danling Xiao aka Mundane Matters who guides the workshop, draws inspiration from meditation, art and philosophy, She has been creating sculptures with fruit and vegetables almost every day for the past year. The first workshops in April drew together a diverse and creative group of participants from all different backgrounds and levels of experience. Each one of them approached the workshop with an open mind and created this wonderful collection of works. Works above from top by: Jess S, Raquel, Charlie, Anett, Cassandra, Jacqui, Sam M, Jess S, Pat, Michelle, Scarlet, Sam W, Jess M, Isabelle, Lucy, Johnny, Jess M, Sofia, Jazmyn, Michelle and Danling. Thanks to Foragers & Co. for the local organic produce.